We don’t say we do quality work… our customers say it, and AAA agrees with them! 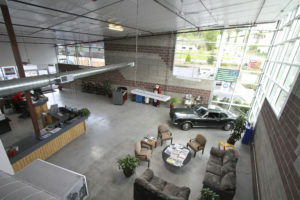 For the past 28 years, Long’s Car Care Center has been the ONLY AAA approved auto repair shop in Woodinville. We make a promise of guaranteed service to every customer who pulls into our garage. It’s simple; we’re a family owned business, and we maintain and repair your vehicle as if our own family members were driving it home. Make the better choice for your vehicle needs! Long’s Car Care Center offers full service automotive maintenance and repair for your car, truck, or classic vehicle using quality original equipment or equivalent parts and products. Yet it’s our people that really make the difference. All of our technicians are ASE certified. We take the time to educate our customers on the best maintenance procedures resulting in fewer breakdowns or unexpected repairs. We maintain detailed records of your vehicle’s maintenance history and call you when it’s time for your next scheduled service. 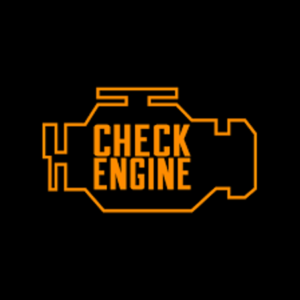 When your vehicle experiences a problem we strive to ensure you understand the problem, options for repairs and all associated costs. Plus, we warranty all of our work and parts with the 36 month/36,000 mile warranty! It’s good to be trusted. 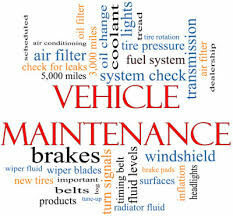 For routine maintenance or when something goes wrong, you deserve quality care for your vehicle. At Long’s Car Care Center we really do provide service worth repeating, but don’t take our word for it, check out what our customers have to say. As a locally owned and operated business with a reputation we’ve worked hard to earn in our community, we aim to continually build trust with our customers by treating each and every person who visits our shop fairly and operate our business with integrity. It is through these actions that our customers choose to keep returning, as well as send their friends and family to Long’s Car Care Center. We just wanted to take a moment to Thank each every one of our amazing customers. Thank-you for trusting us with the service and repair on your vehicles…it really means the world to us. We appreciate the relationships that we have developed over the years. Watching your children grow, learning more about you and your family. We Thank-you for coming back time and time again. We want to Thank-you for helping us grow our business by referring your friends and family to us..this truly means so much to us and touches our hearts. 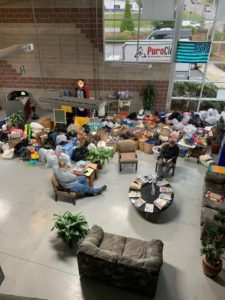 Thank-you for helping us help this community by donating to the causes that we post about…this last one for the victims of the fire in Paradise was over the top!!! You really helped a community that is totally devastated. Thank you for your kindness and compassion. We wish you all a Wonderful Thanksgiving. We will be closed Thursday and Friday to allow our crew to spend some special time with their families. Happy Thanksgiving!! This is a picture of the donations that were collected in just 4 days last week. Thank-you!!! Is your exhaust getting louder as time passes? 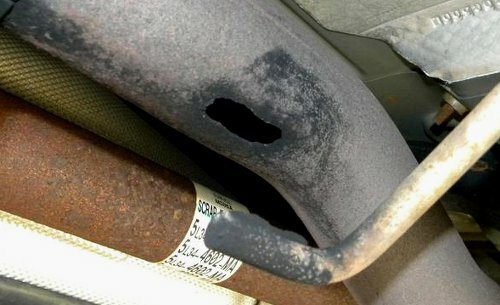 It could be that you have gotten a hole in the muffler or there is a loose seal somewhere along the exhaust system. It would be best to have your exhaust system inspected by one of our ASE trained mechanics. Not only can a leak cause the loud noise you are hearing, it can also allow exhaust fumes to into the inside of your vehicle, causing you to become dizzy and/or ill. So not only is the noise irritating it, the leak could also be a safety issue. 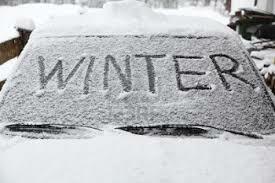 So please give us a call 425-481-1739, so that we can get you in and get your exhaust system repaired, and your commute back to a quiet, and safe one. Are you new to the area? Have you been looking for a trustworthy auto repair shop to take your car? Look no further, our convenient location in Woodinville means that we are never far to take care of all your needs. We also are the only AAA preferred shop in Woodinville and have been for almost 30 years. We invite you to come by and meet us, see our shop and meet our technicians. Some of the things that we provide for our customers are: A Free Loaner, shuttle service, great waiting area, coffee, water, childs play area, plus we are pet friendly. 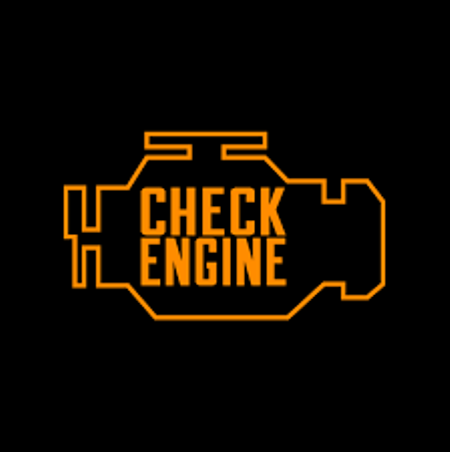 We also do a digital inspection of your vehicle, including pictures, that we can either text or email to you. We offer a 36 thousand mile / 3 year Nationwide warranty on all of the work performed here. Our techs are ASE and Emissions Certified. So please the next time you are driving by…stop and meet us, we promise not to let you down.